Jakarta (7/2), Multimatics welcoming Universitas Bhayangkara in the family of Multimatics’s International Certification Partnership Programs. 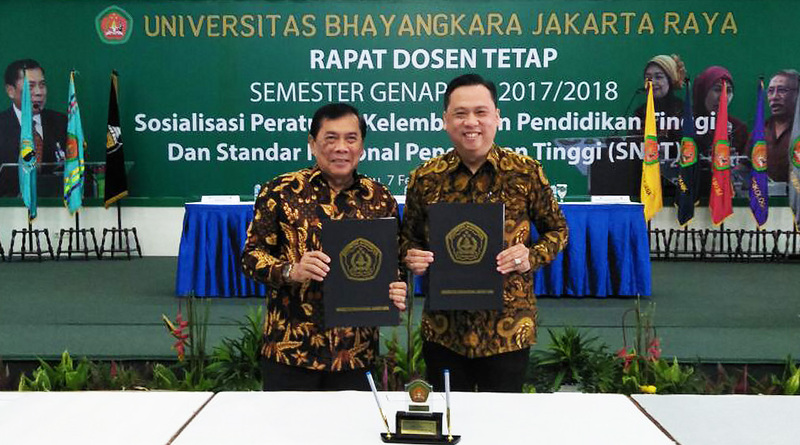 Multimatics and Universitas Bhayangkara have signed the memorandum of agreement (MoA) to fully established this partnership. International Certification Partnership Programs is the partnership program between Multimatics and educational institution to establish a synergize work in providing the students with the qualified and relevant certifications. Currently Multimatics offers various programs from our credible principals such as Microsoft, Adobe, Logical Operations, FPSB Indonesia, and many more to suit the needs of the students. These certifications are specially made to prepare the students with the relevant skills needed by their respective industries. Multimatics hope that this partnership will mutually benefit both parties as well as the future participants of this certification program in the long run.